July 8, 2013  Supporters of the ousted president had gathered outside the facility where it's believed he's being held. There are conflicting accounts of what happened. 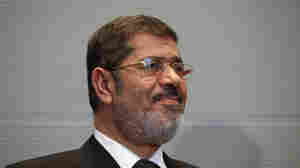 What's known for sure is many of Morsi's supporters were killed by gunshots. Hundreds more were wounded. It's feared there will be more clashes. 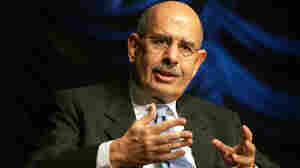 July 7, 2013  An attempt to install Mohamed ElBaradei as interim prime minister was stalled after an Islamist group objected to the Nobel laureate. State media and other sources had confirmed the appointment on Saturday, but later in the day the president's spokesperson walked it back. 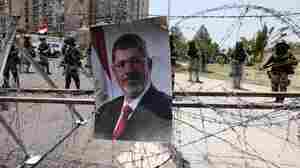 July 6, 2013  Battles between supporters of ousted President Mohammed Morsi and those who pushed for his removal from office left at least 36 people dead and more than 1,000 wounded. It's feared there will be more fighting. July 5, 2013  The Muslim Brotherhood calls for a "day of rage." 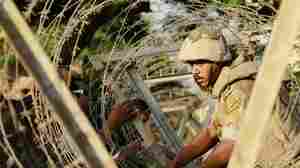 The army moves to respond and violent clashes result in at least eight deaths as the repercussions of President Mohammed Morsi's ouster continue to be felt. 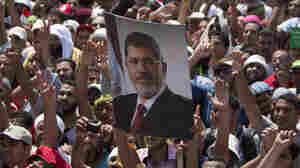 July 4, 2013  The coup that removed democratically elected President Mohammed Morsi from office sets the stage for what could be violent protests by his supporters. 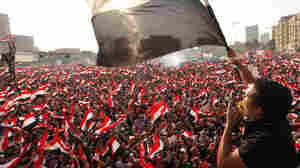 Interim leader Adly Mansour is supposed to be in office only until new elections can be held. 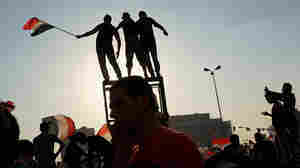 Questions And Answers: What's Next For Egypt? 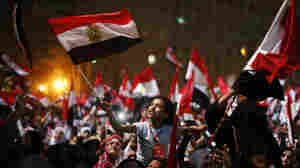 July 3, 2013  With the overthrow of previous President Hosni Mubarak still fresh in many people's minds, the question becomes what this coup, of a democratically elected president, means for Egypt's transition. July 3, 2013  Military chief Gen. Abdel-Fattah al-Sisi says that Mohammed Morsi is out as president and the country's constitution has been suspended. 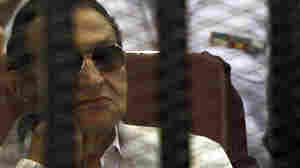 Egypt's chief justice will hold power during the transitional period and set a date for early presidential elections.